This week's social curriculum objective is Resisting Negative Peer Pressure. It's not something I taught last year, but when I saw it in my resource book (More Tools for Teaching Social Skills in School), I thought it was really important to include because so many kids don't necessarily understand what peer pressure is completely or can always recognize it. I started the lesson out by sharing a video I found on YouTube. It is a narrative explaining to students the different types of peer pressure that they might find themselves experiencing. The link to the video is here. Afterwards, I asked students: What did you notice about what peer pressure can look like? What surprised you? What did you not know before? Next, I shared with them this anchor chart and explained that YES! Peer pressure can come in many forms! There is Spoken and Unspoken. 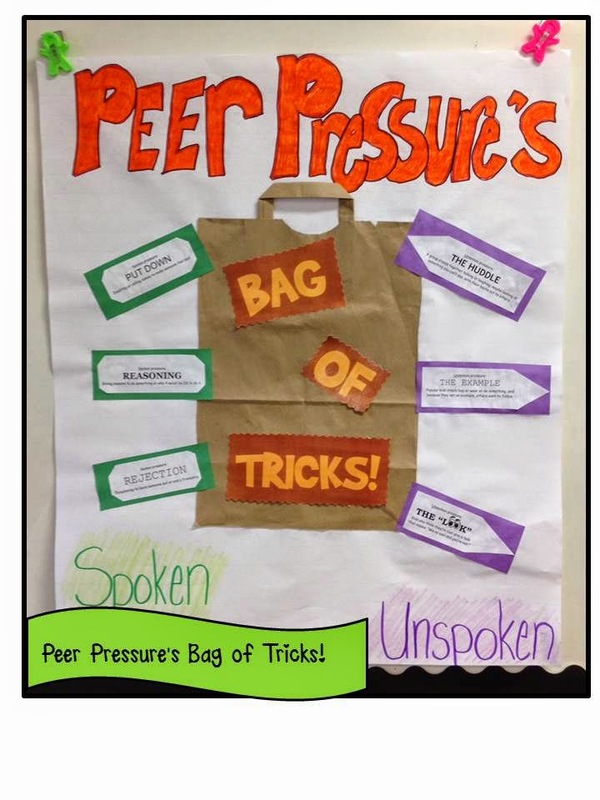 After the overview of this anchor chart, students shared their own experiences with peer pressure that, at the time, they did not recognize as someone pressuring them to do something they did not want to do or someone having power over them. For example, one student in my class realized that he was being peer pressured to play only the games that his friend wants to play. He told us that he never gets to choose the game or if he does say what he wants to play, his friend doesn't agree to play that game. As a class, we helped this student come up with ideas as to what to do and say to his friend. We also talked about how confidence is key, whether you are "popular" or not, people will see your confidence and want to follow your example. I used an example from Wonder, by RJ Palacio. The character Summer is very confident and people wanted to be her friend because she was always confident in her choices of choosing kind. After our discussion, I read The Juice Box Bully, by Bob Sornson and Maria Dismondy. While reading the book, I stopped and checked to see if students were recognizing the type of peer pressure the characters were demonstrating throughout the story. 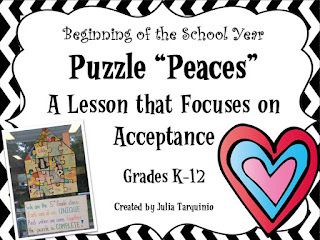 Earlier this month, we also read Each Kindness, by Jacqueline Woodson and My Secret Bully by Trudy Ludwig. It was great to hear the connections students were making with these books as well during our discussion. Throughout the week and throughout the school year, I will keep coming back to the social skills I teach in Unit 1. I think it is extremely important to give children the "tools to survive" so that they can be successful in the classroom and outside of it. Do you teach about Negative Peer Pressure? What resources do you use? Halloween Decorations Up in the Classroom!